For the first time ever, Rob’s Hoffman’s real time alerts and the ability to scan the markets are available to the public exclusively in MetaStock. This means you can see real-time buy and sell signals on your charts. You can also scan the markets to find the securities that meet Rob’s proven criteria. These features have never before been available to the public. In this brief presentation, Jeff Gibby demonstrates Rob Hoffman's Pro Trader Pack Elite for MetaStock. In addition, all the patterns are fully documented using the MetaStock Expert Commentary feature. When you see a Momentum Shift Breakout, for example, the Pro Trader Pack Elite will tell you precisely what you need to do to execute your best trade. In addition, the commentary features a "dashboard" view of Rob's favorite indicators. This way you can rapidly identify the market state of the indicators. You can also greatly reduce your analysis time by scanning the markets to find just the instruments that have an opportunity to buy now. Rob Hoffman’s Pro Trader Pack Elite for MetaStock is Rob’s most comprehensive system available to the self directed trader! Take advantage of the knowledge and experience of this of this top market timer and subscribe to this product today. 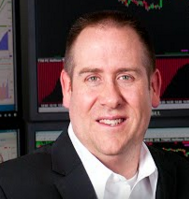 Rob Hoffman is considered one of the top traders and the most respected to mentors in the world. He has won more real money, on-site, domestic and international trading competitions than any other trader anywhere… including the very prestigious Salon Du Trade held annually in Paris, France. Mr. Hoffman offers his students a very unique live trading experience. His students are able to look over his shoulder and ask questions as he trades live, in real-time. He mentors traders on how to use the same techniques he uses during all of the top trading competitions and does so right on the screen in front of them in his real live trading account... something very few traders are willing to do. Rob Hoffman and Become A Better Trader, Inc. provide must-have educational resources in the areas of futures, forex, stocks, options and ETFs with a focus on both intraday and swing trading strategies for short- and long-term traders and investors. You can sign up for free daily market videos, and learn more about Mr. Hoffman at BecomeABetterTrader.com.